UH OH…WHO IS DRIVING THIS CAB??? My Dad had to teach a soccer referee clinic on Saturday. 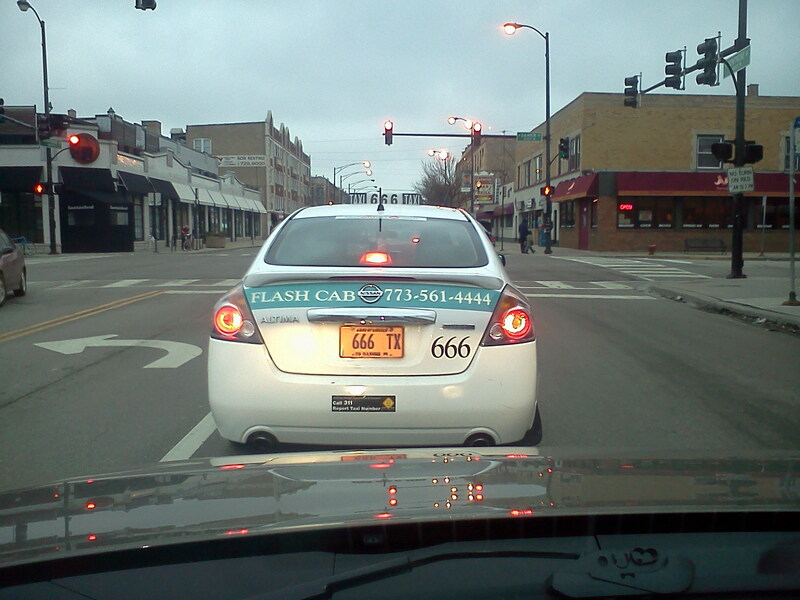 On the way there, we pulled up behind this taxi cab on eastbound Lawrence Avenue in Chicago…need I say more?